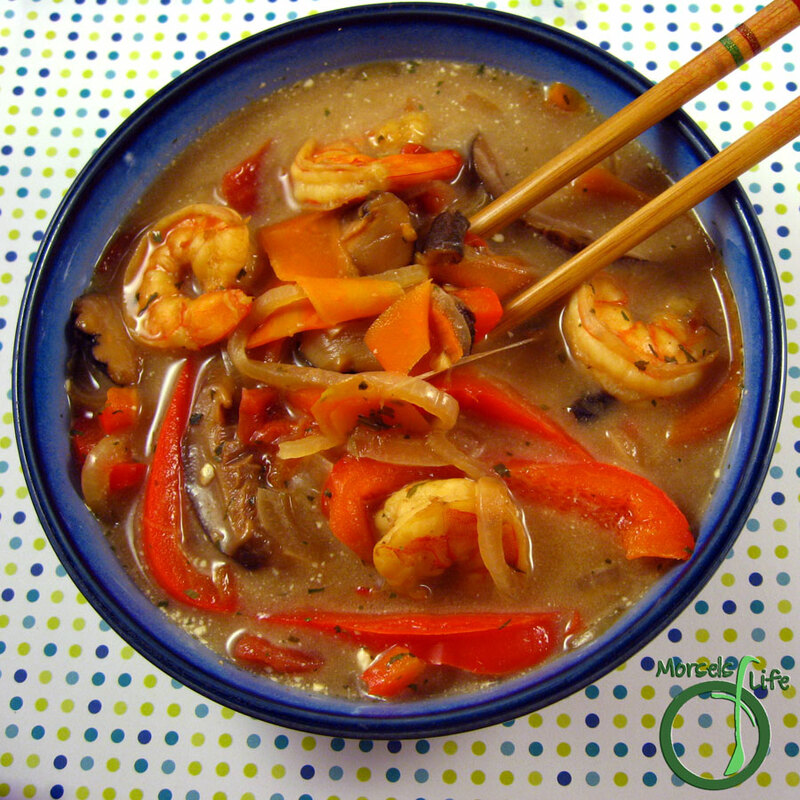 Tom Yum Noodle Soup - a Thai style hot and sour soup with shrimp, tomatoes, and shiitake mushrooms. What are some shortcuts you wish you'd taken when making a dish but didn't realize until too late? 2. 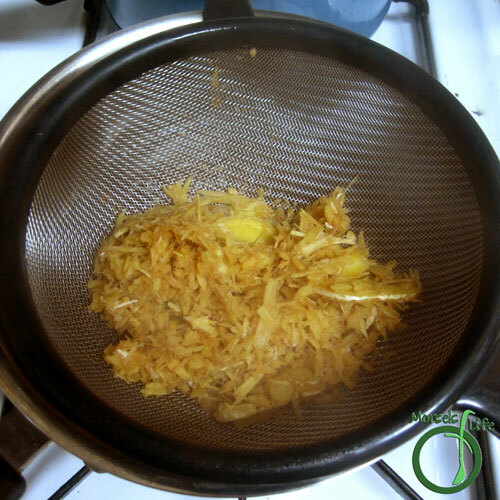 Boil lemongrass and ginger in stock. 3. 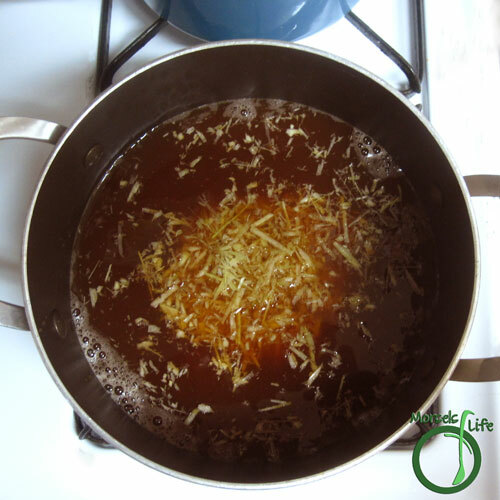 Strain to remove lemongrass and ginger. 4. 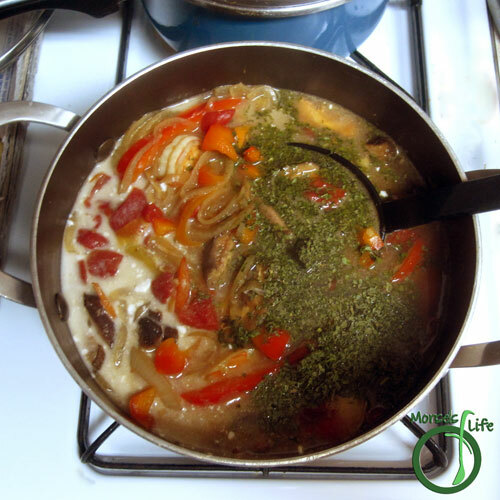 Add onions, mushrooms, and chili peppers, brown sugar, garlic, and fish sauce to stock. 5. 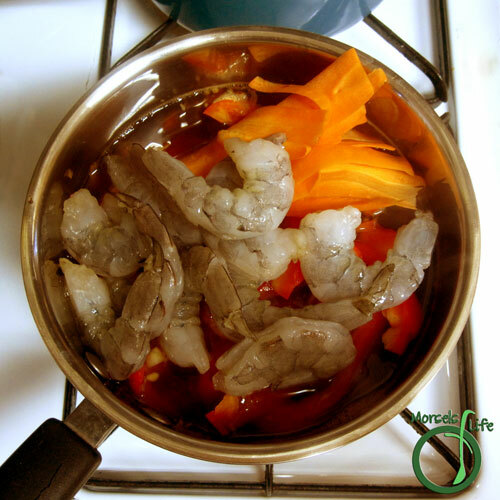 Stir in shrimp, bell peppers, tomatoes, and carrots. 6. 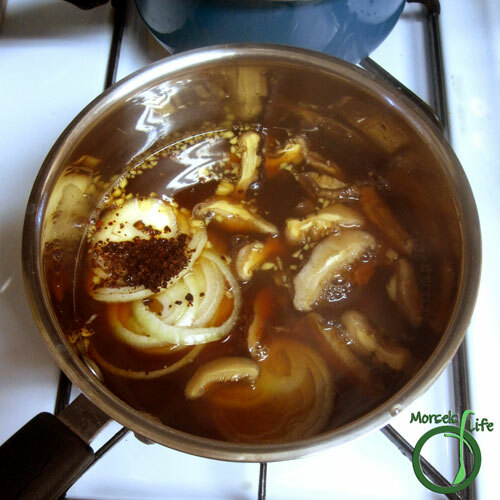 Stir in remaining materials and bring to a boil. I love hot and sour soup! This is just what I need on these chilly nights. Perfect for these snowy, cold nights! 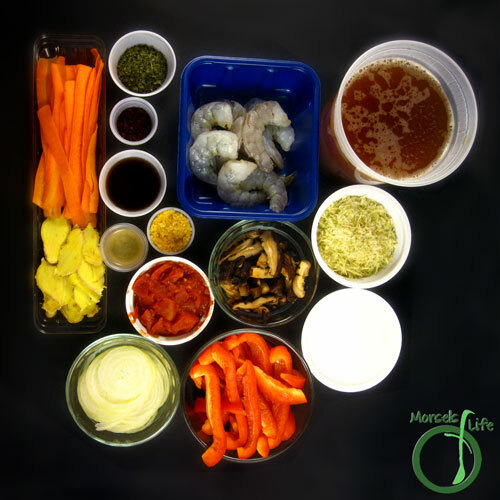 Thanks for linking up with "Try a New Recipe Tuesday." I hope you will be able to join us again this week. Nothing better than a bowl of hot soup on a cold night! :) Thanks for stopping by.